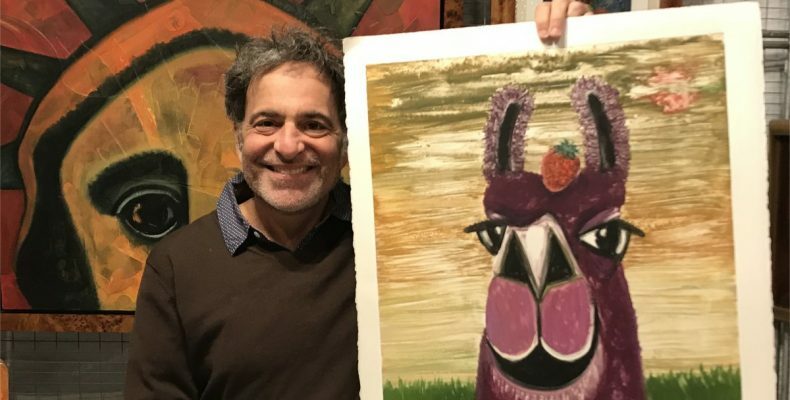 Jonathan Blum is a Washington, DC, born painter who now lives in New York and travels the world selling his unique paintings that feature an unusual roster of images: Rabbis, llamas, other animals, foreheads and more. “Most artists are pursuing a particular style and do different thing in their styles. I have a few subject matters but I do different styles,” the 52-year-old artist told me during a dinner interview late last month. The 102nd dinner stranger told me about a life that has taken him from DC to Boston, from New Orleans to Europe, and from Israel to New York. Along the way he developed his one-of-a-kind painting portfolio. Click on this link to read about my dinner with the painter at Rasika in the District.